After a chaotic start to spring, temperatures are finally warming up and evening out. Now that the fear of a late frost is over, we’ve been getting our backyard prepped and ready for more time outside. One of the highlights of getting our backyard ready for summer is planning and planting our garden. 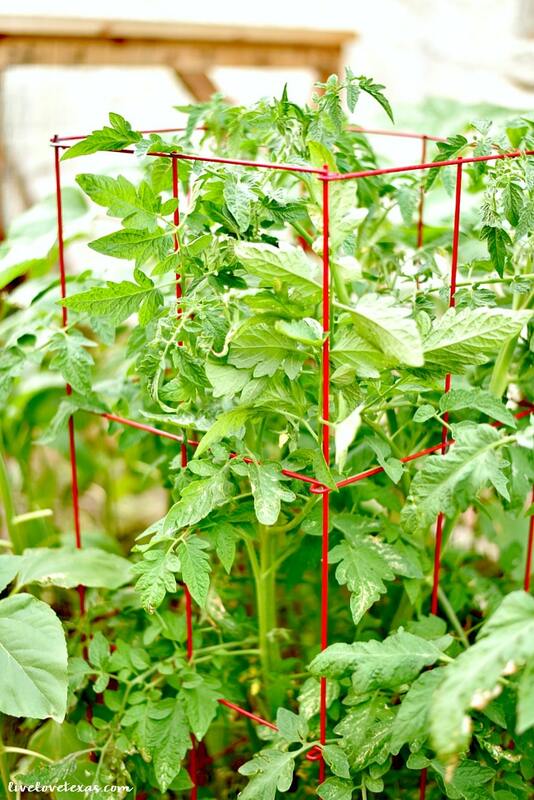 Gardening is one activity that gets the girls off their devices and gets them outside. I love that it brings our entire family together with a common hobby that’s not only fun but provides lots of learning opportunities for the girls. We’re able to help them see the process of growing from seeds and starts and how caring for your plants allows them to grow and create delicious vegetables. There’s also something about growing them yourself, that entices the girls to actually eat their veggies. Because the soil in Central Texas is so rocky, trying to plant a garden in the ground can be brutal. No one wants to waste time or throw out their back by jackhammering to get a hole dug for their garden. Not to mention all of the amendments you’d have to make to get the soil in decent condition. We decided going through all of that work wasn’t worth it and built raised beds for our garden instead. And, with raised bed gardening we’re able to control the type and quality of soil in our beds. Since we want to feed our family the healthiest food possible, we made sure we were using organic soil in the beds. 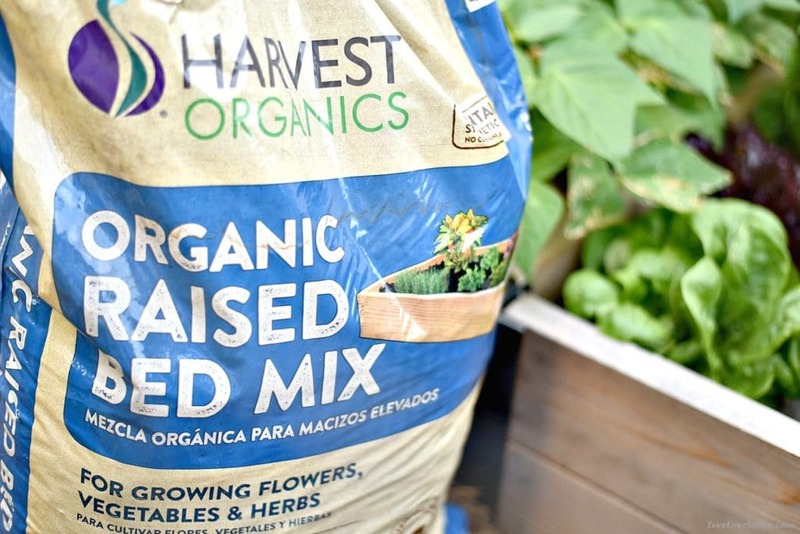 But not just any organic soil, we chose Harvest Organics Raised Bed Mix from Lowes. There’s a lot to love about Harvest Organics products. These soils are “clean” dirt without any added chemicals, pesticides, or preservatives which means you can grow clean and healthy veggies while reducing landfill waste and improving the planet. Just think of all the valuable lessons you could teach your kids! 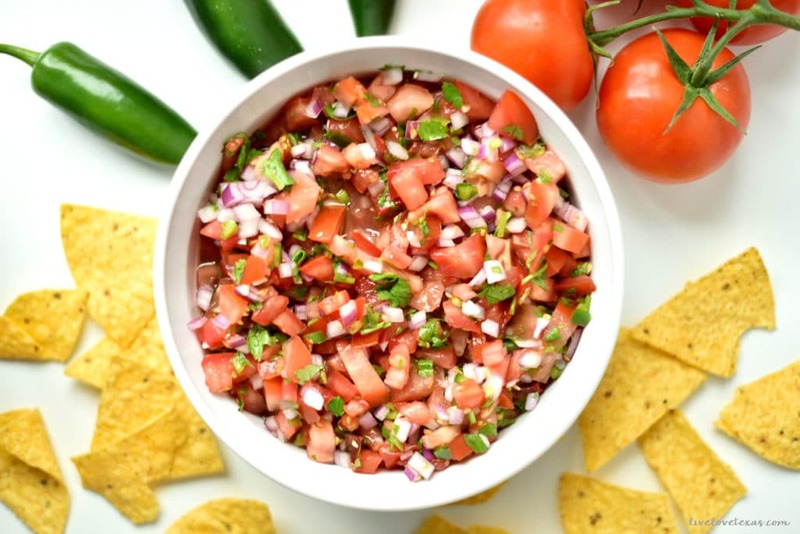 Two staples in our family’s garden every summer are tomatoes and peppers because not only are they delicious, but also allow us to make homemade salsa to serve all summer long. 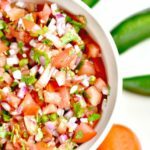 Instead of buying storebought, we use this homemade salsa recipe with fresh tomatoes and peppers from our backyard garden to serve with everything from migas and enchiladas to a dip for tortillas chips. 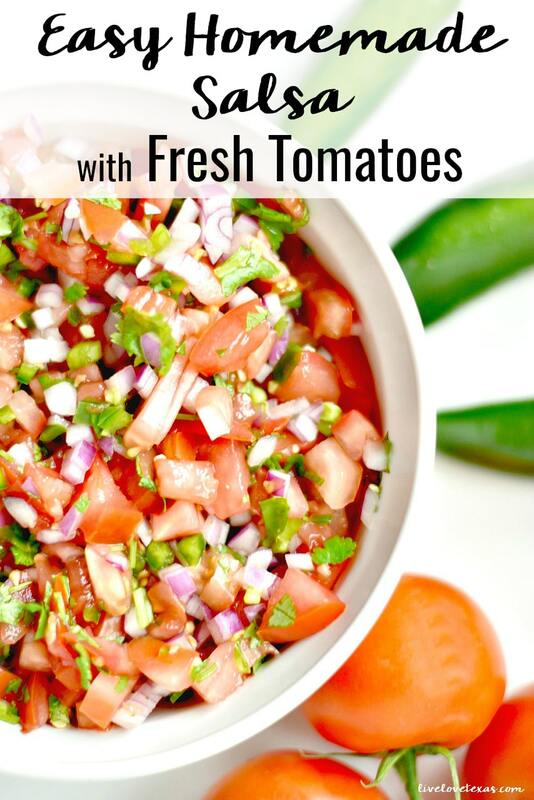 This easy salsa is the last one you’ll need. Mix all ingredients together in a large bowl. Serve as is, or pulse in a food processor until combined but still slightly chunky for a smoother salsa. 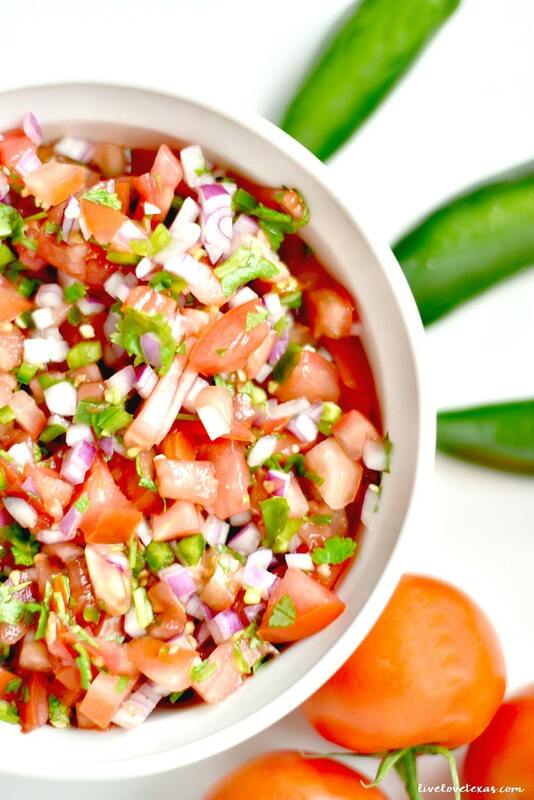 Serve immediately or cover and refrigerate for at least an hour for a chilled salsa. 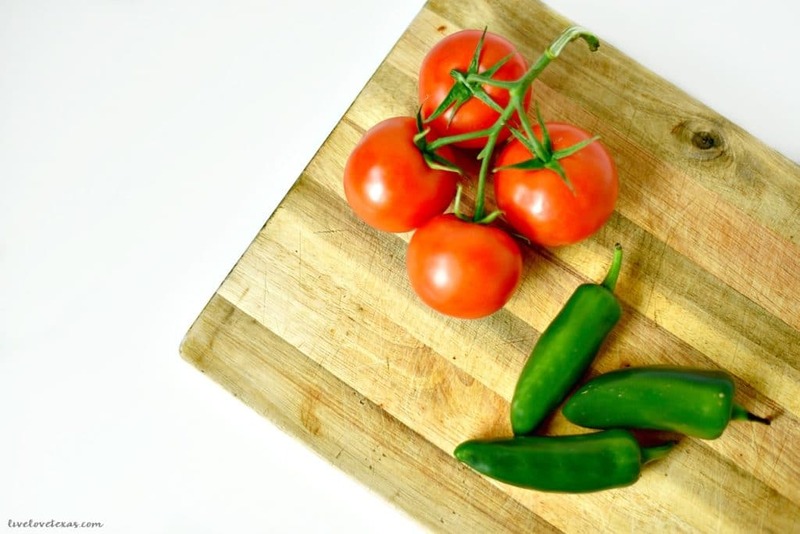 Whether you’re planting ingredients so you can make this easy salsa recipe with fresh tomatoes and peppers or another raised bed project, “Don’t just Garden – Harvest.” Find out how much soil you need for your project and find a Lowes near you that carries Harvest Organics here. « What is the Bealls Beauty Bar?